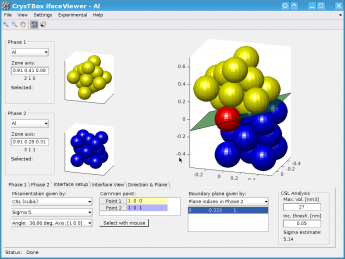 CrysTBox (Crystallographic Toolbox) is a free set of automated tools intended to help crystallographers and electron microscopists with their everydays work. 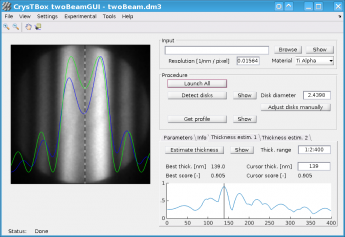 Six tools are available - three instruments for an automated analysis of electron diffraction patterns and micrographs (diffractGUI, ringGUI and twoBeamGUI), two visualization tools (cellViewer and ifaceViewer) and one GPA implementation (gpaGUI). 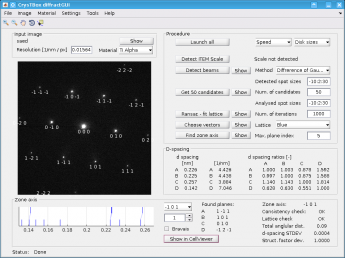 Plugin for Gatan DigitalMicrograph included. Here you can learn how to get the installers. 2017-10-09 Workshop: Three-day workshop on how to squeeze maximum out of CrysTBox, The University of Johannesburg, Johannesburg, South Africa. 2017-07-07 New paper - M. Klinger. More features, more tools, more CrysTBox. Journal of Applied Crystallography, 50(4), 2017. doi:10.1107/S1600576717006793. A brief description of the individual tools and their functionalities can be found below. 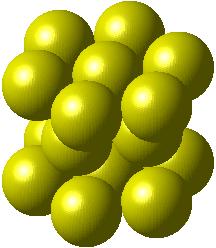 Generally, the supported image formats are .DM3, .DM4, .TIFF, .JPG, .PNG etc. 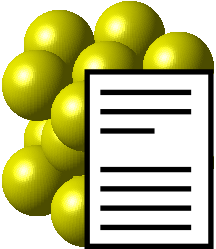 while the sample material can be specified using .CIF and .CELL files. 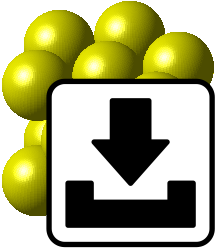 The use of CIF/CELL files is very simple and flexible in the lates release. misorientation can be given by angle & axis, Euler angles, CSL, rotation matrix etc. Video tutorials showing how to work with the toolbox are available here. 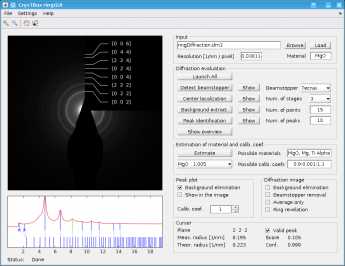 You can see one-minute illustrative videos as well as an 18-minute tutorial covering basic controls and abilities of diffractGUI, ringGUI and cellViewer. If you are new to CrysTBox, please fill in the application form. 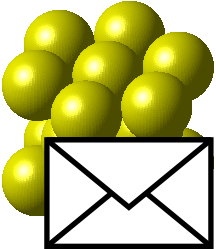 If you have an old CrysTBox version you would like to update, please fill in your e-mail in the update form. 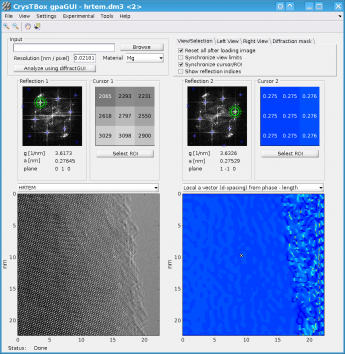 CrysTBox is implemented in MATLAB and is freely available for non-commercial purposes in form of a standalone application installer. 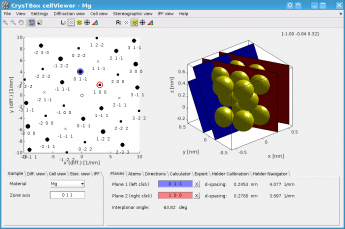 Since our institute has educational license for MATLAB, the toolbox can not be used for commercial purposes. Complete license statement can be found here. The installers are normally built for Windows platform in 32-bit and 64-bit version. As the software relies on MATLAB Compiler Runtime, the hardware requirements are generally expected to match the requirements of MATALB R2014b: 1GB RAM, 2GB of a disk space, no specific requirements on graphic card. A GPU with 1GB memory supporting OpenGL 3.3 is recommended, however CrysTBox can use a software emulation. The installation procedure should be quite simple and intuitive. Still, If you happened to face any troubles during the installation or afterwards, you may find some useful tips here. Here you can find some publications about CrysTBox. References and BiBTex entries can be generated in the application main menu (Help / Citations). If you find the software useful for your research, please cite it. M. Klinger. More features, more tools, more CrysTBox. Journal of Applied Crystallography, 50(4), 2017. doi:10.1107/S1600576717006793. M. Klinger, L. Polívka, A. Jager and M. Tyunina. 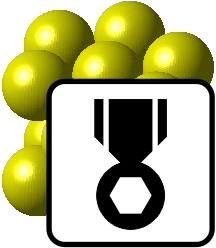 Quantitative analysis of structural inhomogeneity in nanomaterials using transmission electron microscopy. Journal of Applied Crystallography, 49(3), 2016. doi:10.1107/S1600576716003800. M. Klinger and A. Jäger. 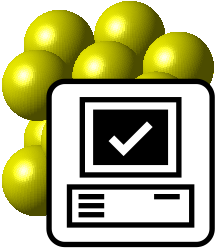 Crystallographic Tool Box (CrysTBox): automated tools for transmission electron microscopists and crystallographers. 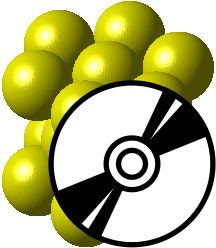 Journal of Applied Crystallography, 48(6), 2015. doi:10.1107/S1600576715017252. M. Klinger, M. Němec, L. Polívka, V. Gärtnerová and A. Jäger. Automated CBED processing: Sample thickness estimation based on analysis of zone-axis CBED pattern. Ultramicroscopy, 150(0):88-95, 2015. doi:10.1016/j.ultramic.2014.12.006. Development of this software would not have been possible without many people providing feedback, funding, support and fruitful discussion. I would like to thank to Aleš Jäger, Alexandr Dejneka, Bernhard Schaffer, Christian Gspan, Eric Leroy, Hongwei Liu, Jan Duchoň, Jun Wu, Konstantinos Goulas, Lukáš Palatinus, Maciej Zubko, Marina Tyunina, Martin Němec, Pavel Lejček, Robin Schäublin, Viera Gärtnerová, Walter Guy.